It’s rare that an online pokie developer comes up with something unique but that’s just what Aristocrat have managed to do with their Fortune Firecracker game, which sees a bonus round where players collect extra sets of reels for multiple winning chances. There’s even more rewarding symbols in play on each set, while even during the base game players should benefit from wild wins, scatter payouts and line wins. Themed around Chinese festivities, Fortune Firecracker sees drums, lanterns, symbols of cymbals and of course, fireworks landing on the 5 reels, across 25 paylines, with the traditional playing card 9, 10, J, Q, K and A helping to form some frequent winning combinations. A nice background image sets the theme, with a night time view of an Oriental garden complete with paper lanterns and pagoda-roofed houses. It’s not too elaborate and so doesn’t distract players from the main game, but Aristocrat have still managed to enhance the theme without overdoing it. To either side of the reels are the payline indicators that show where lines start or finish and wins begin with the leftmost reel, paying left to right when 3 or more of the same symbol stop on adjacent ones across any line. As usual, the card symbols create the least valuable winning combinations, starting with the 9 that’s worth 5x, 25x or 50x the amount staked on each line when it stops on 3, 4 or 5 reels. 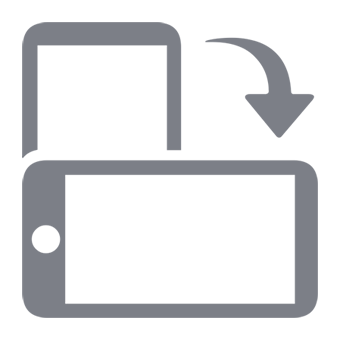 The most rewarding card symbol therefore, is the A and this pays 25x, 100x or 500x. Lanterns, drums, fortune cookies and cymbals are worth progressively more, with the most valuable of the standard icons being the finger cymbals, which reward players with 5x the line bet when they stop on just reels 1 and 2 from the left, and a generous 1500x when they land across all 5 on a line. It’s all very well landing wins across the paylines, but Fortune Firecracker is really about the excellent bonus features. Some of these occur in the normal run of play, with a friendly monkey being a wild symbol who is worth 75x for just 2 on a line and 2000x for a run of 5. He may not fit in with the theme particularly well, but with payouts like that, who’s complaining? Of course, being a wild symbol he will also substitute for others if it’s possible to complete a winning line, although he won’t replace the scatter symbol which has a couple of nice features of its own. The firecrackers of the game title are a scatter and there’s payouts of 2x the stake when it lands in any 3 or more positions, but the real advantage of this symbol is that it then takes players to the bonus free spins game. This round can also be triggered at the end of any random spin, but however it starts, the potential for big wins can be substantial. Players are given 15 free spins and in a feature that Aristocrat call Mega Pay, there’s not 1, but 2 sets of reels in play. Each spins independently of the other, which effectively doubles the odds of getting a winning line, but that’s not the end of it, as players will collect little red envelopes in a Pay Packet Meter and if 9 are found during the free spins, a third set of reels will come into play. All positions on the fifth reels, at the right side of each set, will become wild and should players manage to collect a total of 14 envelopes, a fourth set of reels is added and reels 4 and 5 become wild on them all. Anyone lucky enough to find 30 or more envelopes will see wilds right across each set on reels 3, 4 and 5, which should be enough for win after win. Once the 15 spins have played out, players are returned to the main game, as they can’t be re-triggered from within, even if 3 or more scatters appear on any set during the free games. 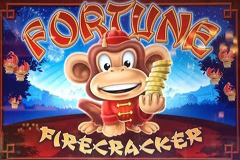 Fortune Firecracker is an attractive pokie that has some nice enough gameplay in normal spins and the potential for some spectacular wins during the free games. There’s a sting in the tail though, as it’s possible to get enough envelopes to trigger another set of reels on the 15th spin, which would be pretty frustrating, but apart from this, and a slightly mis-placed monkey, Fortune Firecracker is a quality game all round.